When we last visited this topic, I was sending out a draft of Advanced Language Construction for review. As comments came back, I’d made corrections or add clarifications. The only fairly big revision came when my friend Daniel suggested talking about “prestige”. I decided I wanted to include what Labov said about the leaders of sound change, and that turned out to require finding out what he said about the leaders of sound change. And you really can’t skim Labov. So that took awhile. If you think of books only as a readers, they’re products– a solid slab of text that seemingly emerged whole from the mind of its author, like Athena. For the writer, it’s not solid at all; it starts out gaseous and only slowly solidifies. It’s at about the consistency of Play-Dough right now. I occasionally reshape a bit or plop on a bit more clay. The good news is that the people who’ve read it seem to like it. That’s more than can be said of the first draft of APAF! I just sent a revised draft to a few more people. So the idea is, I get some more comments, revise, and then order a physical proof copy. I find that a lot of things (especially formatting) are only evident on paper. So start saving your lawnmowing money, the book is coming soon! If you prefer Kindle format, that’ll be a bit longer, as all the illustrations have to be converted into fuzzy, half-readable JPGs. Sound change: Who are the culprits? Comments Off on Sound change: Who are the culprits? I just finished William Labov’s Principles of Linguistic Change: Social Factors, which is a detective story. No, really. You don’t expect a linguistic tome to have the literary quality of suspense, but this book does. It’s organized around the central puzzler of historical linguistics: why does language change? Why do people bother with sound changes, especially when everyone agrees that they’re destructive if not positively evil? It takes the whole book to create a framework to answer the question. This is mostly because Labov details his methods, his data, and what he does in the dark with statistics. He mostly works with surveys he and his students have done at the University of Pennsylvania, though he references similar work that’s been done all over the world: New York, Detroit, Montreal, Cairo, London, Belfast, Seoul, Buenos Aires, Mexico City, Hong Kong, and more. The leaders of sound change are almost always women; they’re often a generation ahead of the men. Women keep advancing a sound change in a linear fashion; men’s advance is stepwise. The obvious interpretation is that men don’t pick up the change from their contemporaries, but from their mothers. There’s a typical curvilinear function of class: neither the lower class nor the upper class are in the forefront of change, but those in the middle– even more specifically, the upper working class. Nonstandard variants often peak in adolescence. So older speakers may retreat from a change. There’s only a very small contribution from ethnicity or neighborhood (except to the degree that these correlate with class). Beyond this, Labov was able to identify individuals who were in the forefront of sound changes in Philadelphia. Interestingly, they shared several characteristics. They were upper working class women, with a strong nonconformist streak. Perhaps most interestingly, they were what Malcolm Gladwell calls Connectors, people who were not only intensely involved with their neighborhoods, but had strong connections to other areas as well– the perfect people to spread ideas. This tends to falsify notions that sound change is due to ignorance or laziness; the leaders are bright and upwardly mobile. Sound changes are also not due to isolation; they’re centered on the most social people. The paradox is that these women are just rebellious enough to fight social norms, but not enough to be dissipated or burned out. Some phoneme P has asymmetrical neighbors in phonetic space: there’s a farther gap between its near neighbor N and a farther neighbor M. Phonemes are realized with a certain amount of spread; as there’s more room in the direction of M, outliers in that direction are heard as valid instances of P.
New languages learners thus move the phoneme in the direction of M– in effect, they mishear the outliers as normal tokens. The change is taken as characteristic of younger speakers and less formal speech. It’s preferentiallyl taken up by nonconforming young women. Upwardly mobile women spread the change to higher and lower social classes. Men catch up to women in the next generation, as they pick up the now advanced sound change from their mothers. Now, all this is unconscious. These are not overt markers like a regional dialect– people are generally unaware of these changes, and if they’re pointed out the speakers are typically apologetic. If a change does reach public awareness, it’s stigmatized. It may continue to advance (it still has appeal as a marker of nonconformity), or it may just be retained as a long-term class marker. (E.g. there’s some evidence that the pronunciation of –ing as –in’ goes back for centuries.) If a local language variety is losing ground (generally to the standard language; this seems to be common in Europe), the leaders in this process also tend to be women. A corollary is that people are lousy self-reporters. Labov played people recordings of words showing different stages in different sound changes; invariably people reported themselves as much closer to the standard than they were, and even claimed that “no one talked like” the more extreme variations. This should be a note of caution for linguists who rely on people’s evaluations of grammatical correctness! Another curious fact: the closest analogue to sound change may be fashion, which is also driven by the preferences of middle class, highly social women. 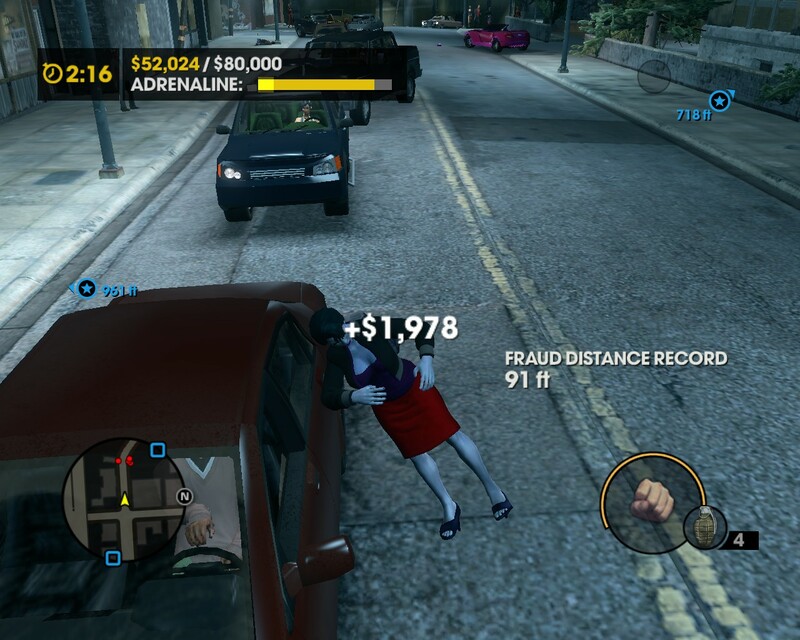 I finished Saints Row the Third. So naturally I’m eager to start up another game, this time on a more difficult setting. So, you rarely get bored. 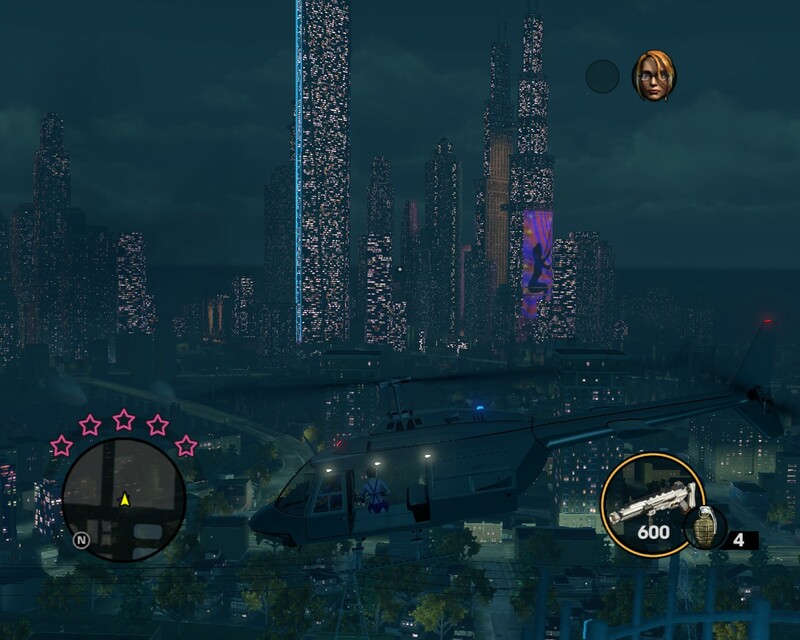 A couple of activities are not easy (they involve racing the clock in a part of town that’s hard to get around), but they’re just side quests. I also found the airplanes kind of hard to fly, but no showstoppers. A couple missions feel a bit tacked-together (like an excursion into cyberspace). Oh, and it’s a bit laggy on my machine, though playable. That’s about it for downsides. Is all the violence kind of questionable? Well, I’d argue that treating it all as camp is more respectable than dressing it up with faux seriousness, a la Grand Theft Auto IV. GTAIV ends up, I think, papering over our enjoyment of the cartoon violence by making gestures toward deepness. But you know, if you really disapprove of cartoon violence, then just don’t make the player into a violent criminal. There’s a part of us that likes to just break all the rules. That’s half the secret of games and jokes and stories. It’s also why villains are almost always more memorable, more beloved even, than the heroes. Batman would be a bore if he just had street thugs to deal with; he needs the Joker and Penguin and the whole grisly crew. 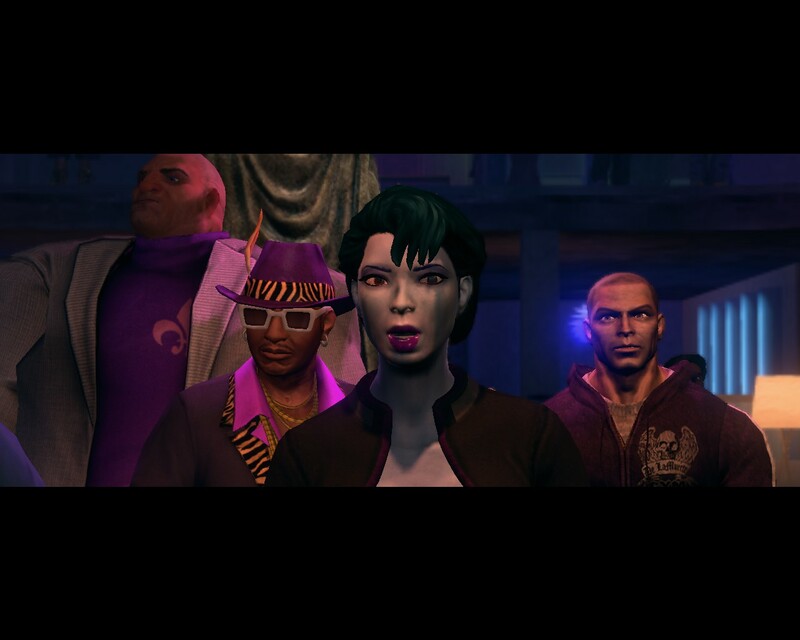 For what it’s worth, though SR3 doesn’t pretend that the Saints are saints, the bad guys are always presented as a bit worse, and the protagonist is not without virtues… she’s loyal, she’s fearless, she runs her operation based on mutual profit and fun rather than fear, and she gladly helps out when Burt Reynolds asks. What about sexism? Well, like Skyrim, the game is all about equal opportunity brutality; your homies and enemies alike are totally on board with armed and dangerous women. I dunno, for the most part I think the developers keep the crudity on the side of funny rather than offensive, over the top rather than over the edge. If that sort of thing bothers you though, just play as a female. I tried both, mostly because there’s an achievement for it, and somehow the game feels a little squeamy when playing as a male. A female boss subverts the whole gang theme. Plus, Female Voice 3 (the Latina, played by Rebecca Sanabria) is awesome. While being brash and tough as necessary, she’s also lighthearted and cute, and that helps sell the notion of the game as campy fun. I like being able to play a villain, but not a psychopath. I still haven’t tried co-op, which should be big dumb fun. Ask Zompist: Why the NCVS? Comments Off on Ask Zompist: Why the NCVS? Quick question about the Northern Cities Vowel Shift and future Englishes— it seems to me an awfully regional shift to be incorporated broadly into subsequent daughter languages or dialects of English. When I look back at other sound changes in English, like the Great Vowel Shift, their success seems to be predicated partly on the more regionally restricted nature of English before British colonialism really took off— not to mention the fact that nowadays English seems to have more than one prestige dialect (American English might be argued to enjoy a little more prestige that British English globally, but American English is hardly monolithic). I could easily see in a civilization like the Incatena, where you have a new central focus of political and cultural influence being established (Mars) whose standard language is not necessarily the mother tongue of many people who speak it (cf. the number of people in India or Africa who speak English as a second language), various dialects contributing to the formation of a new standard. Obviously some will have outsize influence, based on population and cultural influence, but it doesn’t seem to follow that a regional shift like the Northern Cities Vowel Shift would come to dominate. Just curious if you followed a different line of reasoning on this. It’s pretty simple, really: designing a future English, rather than simply make up the first step, it makes more sense to use a sound change that’s actually in progress, though it’s currently below public perception. For the “regional” objection, two points. First, what’s the alternative, given that I want to use a real sound change? I don’t think there’s any sound change of similar phonetic importance that is more geographically widespread. Second, if anything is going to affect near-future American English, the Northeast US is probably about the best place for it to start. It’s already the core of General American, and other US dialects (New England, New York, the South) have historically been stigmatized and not spread outside their regions. A better objection might be that it’s highly urban, and doesn’t seem to have spread to the suburbs and thence to the media. But Labov says that typically sound changes spread from the working class upward and downward, so again this is just what we’d expect for the origins of a major change. It’s true that not all changes keep spreading; but this is sf, not physics. I wouldn’t bet a lot on the NCVS not spreading; but I wouldn’t be surprised if it stopped, either. Now, I said Stennud was “50C Earth English”, but this is taking a broad interstellar view. To be more precise, I’m going to say that UK and American English will no longer be mutually intelligible, and Stennud is the descendant of the latter. It’s likely to be more of a world standard simply because North America is a much much larger clot of English speakers. This could change if India actually switched to English. I don’t think this is likely, and it’s even less so in the Incatena timeline. Currently there’s something like 86 million Indians who speak English as a first or second language; compare that to 520 million for Hindi. In the Incatena future, Dravidian India splits off (which removes a significant barrier to the further spread of Hindi), and the Collapse reduces American influence worldwide. Recall that interstellar travel is expensive and time-consuming; the vast majority of people never leave their home system. Thus planets tend to diverge linguistically; there is no “Incatenese”. Interstellar travelers tend to use either Hanying, the major language of Mars, or Sihorian Franca. Stennud is not that big a deal off Earth. I’ve been reading William Labov’s book on social factors in sound change, and I’m finally getting to the good bit: where he starts explaining who are the leaders in change. But more on that later. For now, I realized that future Englishes should really incorporate the completed Northern Cities Sound Shift. In particular, the “Stannud” of the Incatena should be Stennud or even Stiynnud. Ask Zompist: Teach Yourself Verdurian? Comments Off on Ask Zompist: Teach Yourself Verdurian? Have you considered putting out something on Verdurian on print-on-demand— some sort of more advanced Teach Yourself Verdurian or the like, or a more in-depth dictionary/grammar? I have, in fact, though I’ve thought more about (say) an edition of all the ancient Eastern languages (Caďinor, Cuêzi, Axunašin, Obenzayet). So it’ll happen eventually. The main holdup is that I don’t think sales would be phenomenal, while the book production would take as long as any other project, so it’s not terribly high priority.